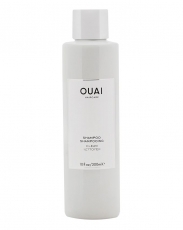 A clarifying cocktail to eliminate build-up and ‘detox’ congested tresses, OUAI’s Clean Shampoo is suitable for all hair types and textures – dissolving excess oil and residue without stripping hair or compromising its colour. 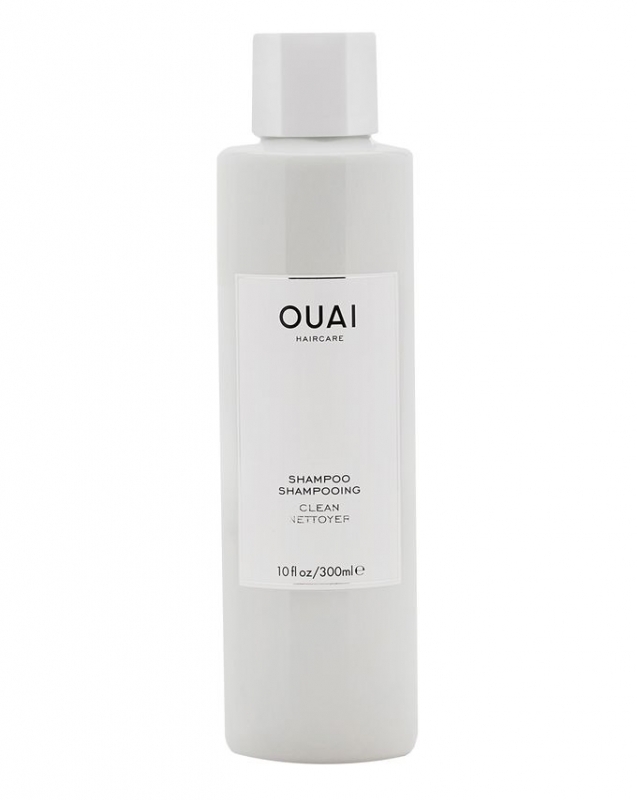 Sufficiently gentle for everyday use, this is great once a week to hit ‘re-set’ if you use a lot of styling or texturising products. Aqua (Water, Eau), Disodium Laureth Sulfosuccinate, Sodium Cocoyl, Isethionate, Sodium Lauryl Sulfoacetate, Cocamide MEA, Sodium,Lauroyl Sarcosinate, Cocamidopropyl Hydroxysultaine, PEG-7 Glyceryl,Cocoate, Acrylates Copolymer, Glycerin, Cocos Nucifera (Coconut) Water, Panthenol, Phyllostachis Bambusoides Juice, Tamarindus Indica Seed, Gum, Daucus Carota Sativa (Carrot) Root Extract, Hydrolyzed Hibiscus, Esculentus Extract, Jasminum Officinale (Jasmine) Flower Extract, Nasturtium Officinale Extract, Helianthus Annuus (Sunflower) Seed, Extract, Zingiber Officinale (Ginger) Root Extract, Moringa Oleifera Seed,Extract, Hydrolyzed Linseed Extract, Pisum Sativum (Pea) Extract, Cynara, Scolymus (Artichoke) Leaf Extract, Amaranthus Caudatus Seed Extract, Alanine, Arginine, Glycine, Histidine, Isoleucine, Phenylalanine, Proline, Serine, Threonine, Valine, Aspartic Acid, Laurdimonium Hydroxypropyl, Hydrolyzed Keratin, Hydrolyzed Rice Protein, Hydrolyzed Corn Protein, Hydrolyzed Yeast Protein, Oryza Sativa (Rice) Bran Oil, Rice Oil, Glycereth-8 Esters, Jojoba Oil Glycereth-8 Esters, Coconut Oil Glycereth-8, Esters, Ethylhexylglycerin, Propanediol, Dimethicone, Amodimethicone, Cyclopentasiloxane, Dimethiconol, Divinyldimethicone/Dimethicone, Copolymer, Decyl Glucoside, Lauryl Glucoside, Polyglyceryl-3 Laurate, Glycol Disterate, Parfum (Fragrance), Hydrolyzed Vegetable Protein, PG-Propyl Silanetriol, Cystine Bis-PG-Propyl Silanetriol, Sodium PCA, PCA, Polyquaternium-7, Diisostearyl Malate, Laureth-23, Laureth-4, Trideceth-12, C12-13 Pareth-23, C12-13 Pareth-3, Cetrimonium Chloride, Polysilicone-15, Leuconostoc/Radish Root Ferment Filtrate, Sodium Lactate, Pentylene Glycol, Guar Hydroxypropyltrimonium Chloride, Disodium EDTA, Citric Acid, Potassium Hydroxide, Disteareth-75 IPDI, BHT, Phenoxyethanol, Chlorphenesin, Potassium Sorbate, Sodium Benzoate, Benzyl Alcohol, Benzyl Salicylate, Hexyl Cinnamal.